The D.C. region's Capital Bikeshare program is extending into Fairfax County. Officials are holding ribbon-cutting ceremonies Friday in Reston and Tysons Corner to celebrate the expansion. Nearly 30 bicycle stations are being added to the Reston and Tysons areas, complementing the Silver Line Metrorail stations that opened two years ago. The new stations join a network of more than 400 stations already in place throughout the region. 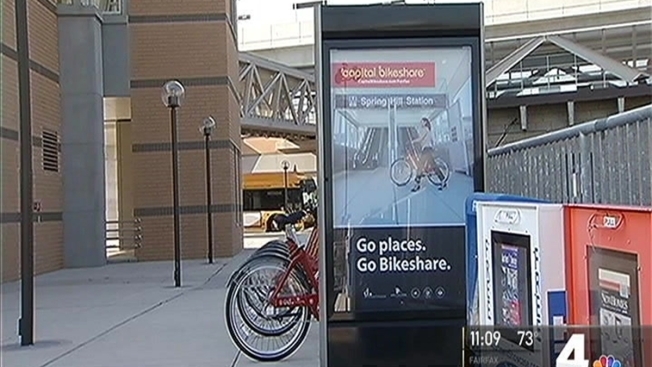 The new stations will be open to the public Friday at 5 a.m.
Capital Bikeshare allows users to rent bicycles that will be docked at a variety of stations throughout the region. Members have logged nearly 15 million trips since the system launched in 2010.